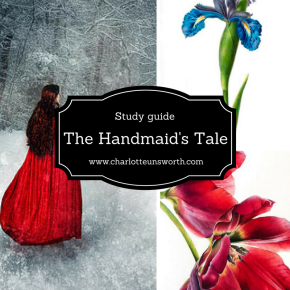 The similarity, specifically literature and English Language, can be either technical – looking at a way of writing, for example a specific use of metaphor – or thematic – the way a similar idea is represented. Ideally the comparison is knitted together, so interwoven that you can’t pull one text apart from the other. That’s the ideal, but there are some ways to make it easier too. In light of this view, consider ways in which writers explore love and its risks. 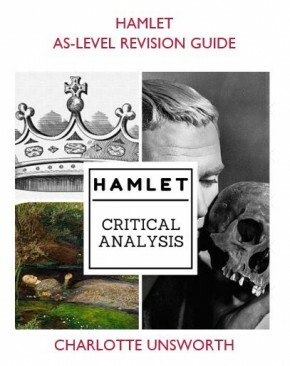 Before you start remember: if you’re sitting the A-level, you have an hour and fifteen minutes. There’s easily time to spend fifteen-twenty minutes planning. Create a quick mind-map of responses to help guide your ideas. That’s probably relatively easy – take each text at a time. B – The Duchess destroys herself, Antonio and her children through inappropriate love – for Antonio, outside her social class and her brothers’ wishes. Her earthly, physical passions are put first. Compare Soeur Louise (desire has left her ashes), Twice (conflict between heavenly and earthly love) and Shut Out (conflict over physical/spiritual expressed through her being shut out of a garden alternately symbolising heaven and fertility). C – Lack of appropriate love is destructive: Cardinal / Ferdinand, through hypocrisy – using Julia – or incestuous feelings for the Duchess. Rossetti – Goblin Market (not repeating A), but compare Maude Clare – Maude is arguably destroyed – reputation and future prospects – through the bitterness of her unrequired love and making it public. Remember – A, B, C don’t HAVE to go in that order. It’s a good idea at this point to number then which you would write about fist. I’d probably go for A, C, B so that the two points including Goblin Market are together. So what you have at this point is three comparative sections – which could be 2-3 paragraphs each. Starting with a “both… whereas” sentence can help focus, and lead to a good introduction. Write a quick initial response to get started e.g. Both Webster and Rossetti suggest that love is dangerous. Whereas Rossetti the fear for her immortal soul is paramount, and she struggles to reconcile earthly and heavenly desires, Webster’s Duchess is more concerned with her earthly pleasures, uncaring of the dangers she is in. Whereas is probably one of the most widely mis-used words I see in writing. It’s used to join two ideas in one sentence. Both Webster and Rossetti suggest that love is dangerous. Whereas Rossetti the fear for her immortal soul is paramount, and she struggles to reconcile earthly and heavenly desires, Webster’s Duchess is more concerned with her earthly pleasures, uncaring of the dangers she is in. 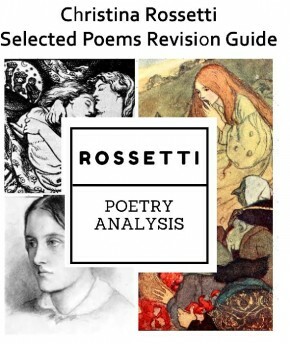 Over the course of her lifetime, Rossetti’s poetry becomes more troubled with the sacrifices her religious beliefs have compelled her to make regarding love, and the gap resulting in her life, particularly in a Victorian era that privileged marriage and motherhood. The Duchess, in contrast, symbolises a threat to the patriarchal Renaissance era, but the often hypocritical and disturbed loves evidence in the Cardinal and Ferdinand are ultimately more dangerous to their immortal souls than her rejection of social constraint. That might seem like a long piece of AO3, but in terms of an introduction a paragraph is worthwhile, and that addition means you have a close focus going through your essay as to the cultural and social differences of the writers. Rossetti’s metaphor is more ambiguous. Maude Clare is more knowing than the Duchess. Laura’s innocence makes her less guilty than the Duchess, who has been married before. Webster’s Duchess claims authority and power through her proposal; having Antonio kneel uses proxemics to visually represent their class divide, further symbolised as being broken when the Duchess raises him up – but this is a threat to her own status as well as the status quo recognised by Bosola, that women of her class marry their own and perpetuate the class system. Rossetti’s poetry is less concerned with class status, though there is still an element of this in Maude Clare as it seems that Nell – the wife – is a match equal to Thomas. Maude Clare’s lack of social propriety in having a relationship, perhaps an intimate one symbolised by the golden chain she returns to him on the church steps, is as inappropriate as the Duchess’s with Antonio. Yet Maude Clare’s relative lack of status also potentially limits the destruction; those born highest have furthest to fall. List a few comparative words at the top of your paper as a reminder. Tick them off or refer back – if you’re using them, you’re comparing. Focus on one text but make quick references back e.g. in a paragraph on the Duchess, you might suggest she is wiser than Laura, or has the same experience as Maude Clare, but not expand until a second Rossetti-focused paragraph.